WHEN IN MANILA, when the boy band that you’ve been going gaga for since the freshman year of high school drops by in town and powerful Mr. Fate finds a way for you to meet them, you don’t say “Hmmm, I’ll think about it.” You dash right away to the boys who made your heart scream SOS! 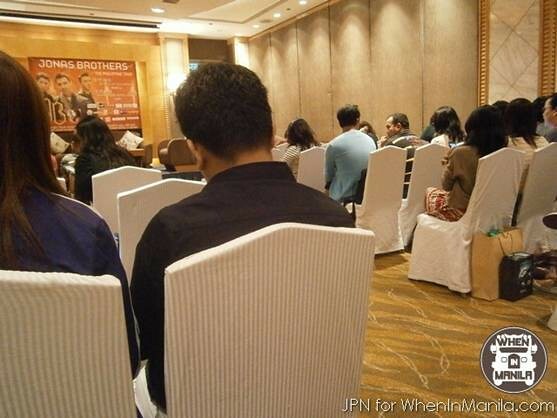 Just a few hours ago, I was able to attend the Jonas Brothers Press’ Conference at the grand Makati Shangri-la Hotel with my uncle in tow. Forgive the crappy photos as my hands were too busy shaking, excited to meet the boy band who made my freshman year of high school extra sparkly and of course, to finally see my first love, the handsome Joe Jonas. 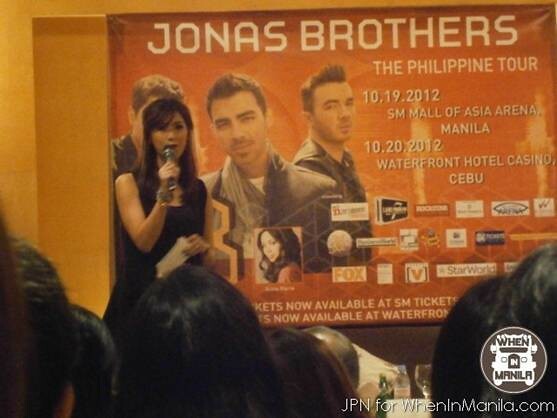 Bianca Roque served as the host for the Jonas Brother’s press conference. She definitely made the event a lot livelier with her witty questions to the golden boys. The Jonas Brothers were super down to earth, funny, and cute (well, I’m pretty sure you all know that.) So drop by their concert tomorrow night October 19, 2012 in the SM Mall of Asia Arena or October 20, 2012 in the Waterfront Hotel in Cebu. If like me you’ve failed to score wonderful tickets to the Jonas Brothers’ concerts in the Philippines, there’s no need to sulk around. 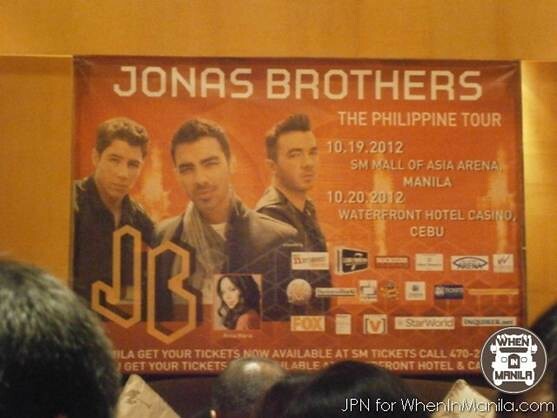 Lets throw our own Jonas Brothers’ concert in the comforts of our own bedrooms WHEN IN MANILA. 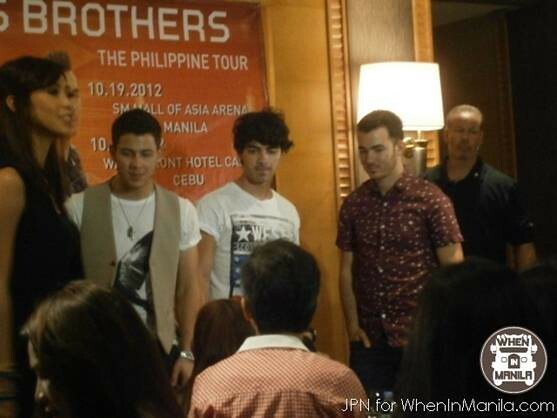 Jonas Brothers’ Press Conference: Wonderstrucked, Lovestrucked, Awestrucked! WATCH: Graduating Student’s Video of LRT 1 Malfunctioned Door Goes Viral!